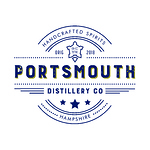 On the southeastern tip of Portsea Island, surrounded by the sea, and Naval History, the fabulous historic waterfront city of Portsmouth plays host to Hampshire’s premier distillery: The Portsmouth Distillery Company. The distillery was set up to once again produce accessible high-quality spirits on the island of Portsea, where the last time a distillery was in operation was in the eighteenth century. So where better to give a rebirth to a spirit company than in the impressive eighteenth century Fort Cumberland. Our principal products are Fort Gin, 1968 unaged Rum and Cinnabar Spiced Rum. The Portsmouth Distillery will be providing the prize for the overall Regatta winner of a gin tasting experience for 5 people, prizes for first, second and third plus a gin tasting experience at the prize giving. A traditional waterside pub, the Bridge Tavern is situated on Old Portsmouth’s Camber Dock, with a wonderful atmosphere and a great menu of quality food and drinks. The only surviving pub on Old Portsmouth’s East Street, it is the perfect spot for a family get-together. For the Regatta Dave and Lynn will be providing a selection of paella and hog roast plus a free first pint to those who pre-book a food ticket. If you want to make the most of your leisure time and get the most use from your boat, KB Boat Park is the place to be! Discover why hundreds of boat owners choose to keep their boat in Portsmouth’s best located and longest established dry stack facility. Situated at the entrance to Portsmouth Harbour it really is the ideal location. With our speedy launch service you’ll be the first on the water whatever state of the tide and because we are only metres from the open waters of The Solent, you won’t spend your time and your fuel just getting in and out of the harbour. Whether you are looking to buy, sell or just want some friendly advice, KB Brokerage is a great place to start. 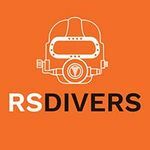 RS Divers offer a comprehensive service to all boat owners, whether you sail competitively all year round or prefer just to take to the water in the summer. They offer full regatta and pre-race support for all vessels from 20-200 feet. Regular boat scrubs will keep your yacht making sure you can be first across the finish line. They can make sure your boat is ready for you to step aboard by scrubbing the hull, checking underwater for any problems such as fouled propellers or faulty anodes and providing video or photographic evidence of what we find. Contact us for any yacht or powerboat-related matters. We personally source and choose the wines we sell and this ensures that only the very best wines from around the world make it onto our extensive list. The quality of the wines we sell, combined with competitive prices makes independent Camber Wines stand out from the rest. We sell to both retail and trade customers and you can buy any quantity of wine. In addition, our tasting table means you can try before you buy and handpick the wines that suit you or your business best. We pride ourselves on offering a professional but personal service, so whether you are an experienced wine buyer or would like some assistance building up a portfolio of wine, we are happy to help. Telephone 023 9281 9442. Our people have been serving the local community for 40 years. We ensure that we have up to date knowledge, and skills, to back up our experience in our areas of legal expertise. We can advise individuals, and business in the following areas: Commercial conveyancing. We deal with commercial property buying and selling, re-mortgages, business tenancies, leases, and landlord & tenant agreements.Residential Conveyancing. 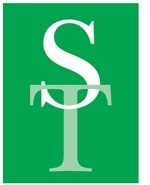 We can deal with purchases and sales of leasehold and freehold properties. Dispute Resolution. We can advise on all sorts of civil disputes. This includes, for example, breach of contract, landlord and tenant, consumer, business disputes, partnership disputes, contested wills and inheritance claims. Employment We can advise both employers and employees on contracts of employment. Wills, Trusts, Probate, Lasting Powers of Attorney. We can write your Will and make sure that your estate (property, money and possessions) is left according to your wishes. We are proud of our work here at Digital Print FX! In our experience we have become experts in large and small format printing. Our exhibition stands, signage and roll-ups are displayed by the most pretigious of companies, and our canvasses and acrylics really give the ‘WOW Factor’ to any wall. We are also small format printers producing fast turnaround business cards, flyers, newsletters, coil bound booklets, perfect bound books and other short run publications – all under one roof! Some jobs can be ready the same day and we pride ourselves on our fast turnaround for all products.Our team of designers can quickly and accurately create all sorts of graphics according to your specifications, and we will always make sure you’re 100% happy before going ahead.